Great central location and reasonably priced, plenty to do nearby and good facilities to relax down stairs by the pool.. Property could do with a really good clean as the walls are filthy with dirty marks on them and could do with better showers. The apartment didn't have its own parking, a bed broken,needed a good cleaning, musty bathrooms, needed a fair amount of maintenance . We were a family of 3 adults and 3 children and it was perfect in every way! Location - so central. Amenities on site - numerous pools, games room, theatre etc. There were teeny tiny minor cosmetic things - odd dirty mark on wall etc -but overall we gave it 5/5! Perfectly positioned, clean and great facilities. Rooms are large and living area is perfect for families. Family of 4 enjoyed a wonderful stay in March 2015. 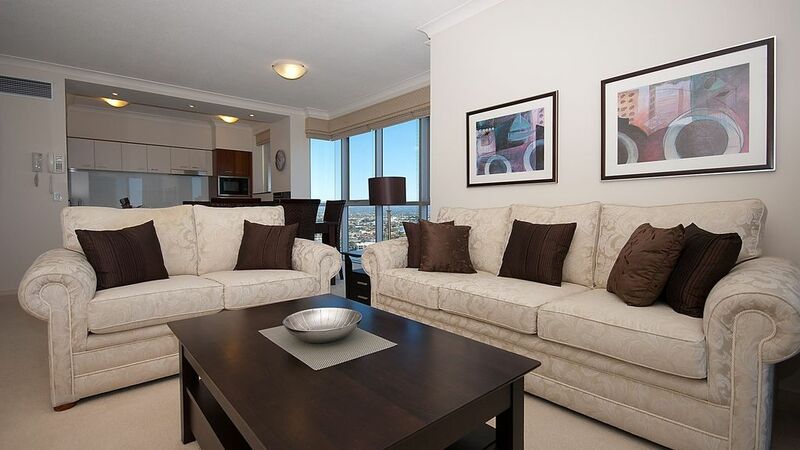 Our apartment was located on level 27 and was managed by Coastal Holiday Rentals. We could not fault this apartment, it was exceptionally clean and well maintained. The apartment had a wonderful ocean view and austar. Friends of ours stayed in another apartment managed by a different company and they were disappointed in their apartment. The staff were very helpful and also booked our Theme Park Tickets on arrival. We would stay here again for sure.